Eine vierköpfige Band aus Wien zwischen Triphop, Neo-Soul und Bass Music, die gerade ihr Debütalbum veröffentlicht hat. 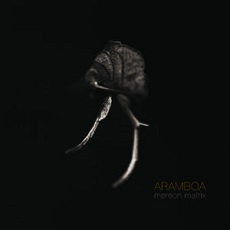 Downbeat, Triphop, IDM, Neo-Soul, Bass Music, Dupstep, Jazz – that are all insufficient terms, if you want to describe the sound of Aramboa. The real essence of the musical style the austrian producer Moritz Scharf and voalist Elena Shirin want to create is the fusion of these characteristic elements. Energetic and complex beats build the foundation for hypnotic and expressiv harmonies of analogic and synthetic instruments, wich circulate around the subtile but still powerfull performance of the vocal tracks. In spite of sounding more electronic on the first studio-album, Aramboa`s Live-Performance is substantially driven by Keyboard, Guitar, Trumpet and the acoustic colours of live-bassoon. So far Aramboa played at Waves Festival, Tallinn Music Week, Donaukanaltreiben, Fluc, Cafè Leopold, Grelle Forelle, Stadtwerkstadt Linz, WUK, Jazz:it, Arge Salzburg, Madhou5e Linz, Brimbamborium Festival in Munich and a lot more venues.